Everything is connected. If you pull at one strand you'll find it's connected to everything else. So I'm sitting in a booth at the Nogales Cafe in downtown Phoenix with the lead guitarist of that little ol' band from Texas, ZZ Top. Billy Gibbons loves gritty places and I promised him I would take him to one, after his band's sold-out show at the Coliseum the night before. 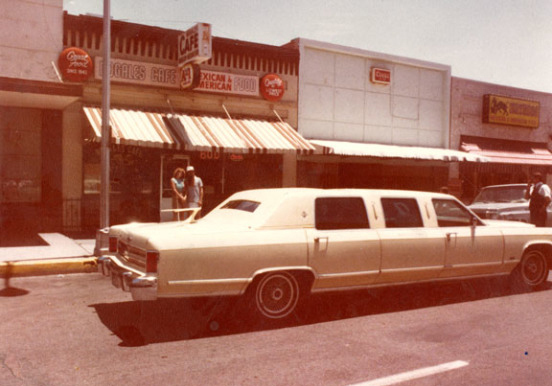 Billy's limo driver, Steven Zea, winced when I told him where we were going, but there we are, parked in front of the Nogales Cafe in a section of Phoenix known as the Deuce. 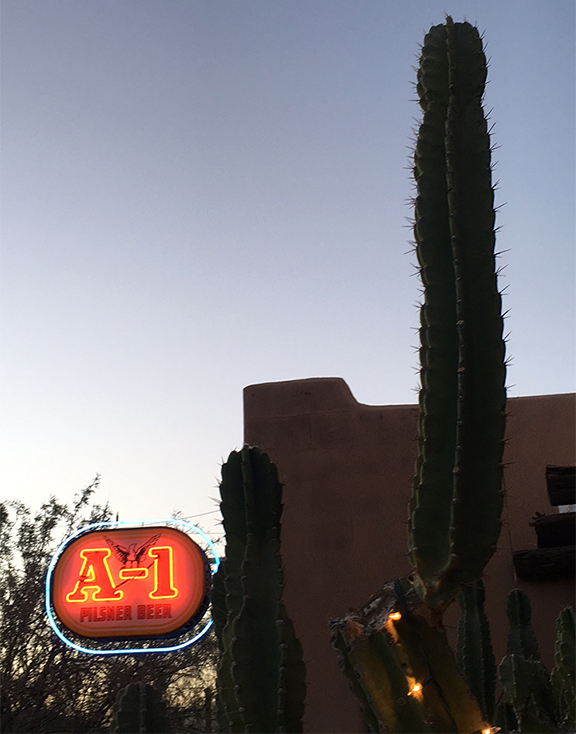 About two months later, I'm eating huevos rancheros at the Nogales Cafe when Bill, the manager, comes by and says, "Do you still want the A-1 sign?" He meant, off the front of the building (see in above photo). "Well, yes, but I thought you already sold it?" 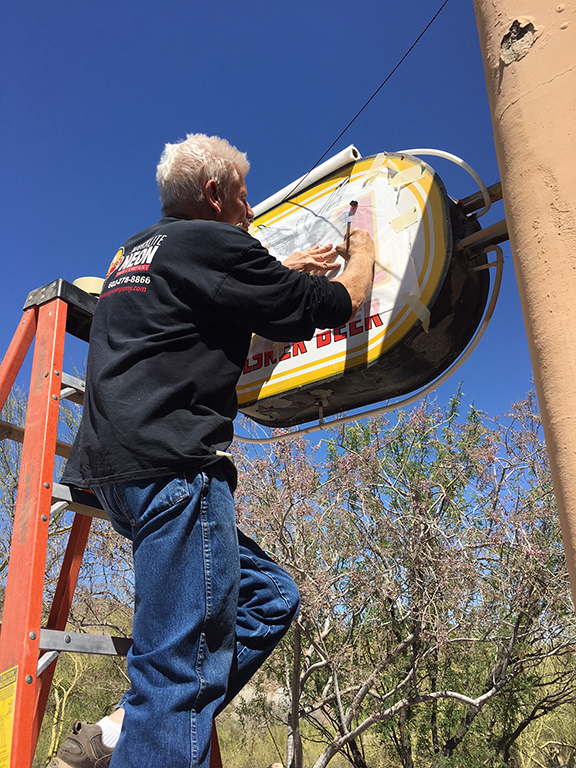 "The buyer from New Mexico broke it taking it down and now he doesn't want it anymore." "What did he pay for it?" "So, what do you want for it, now?" "Okay, sold." So, I bought the broken sign and then looked in the Yellow Pages (remember them?) and found a sign company called Boots & Duke Sign Company. 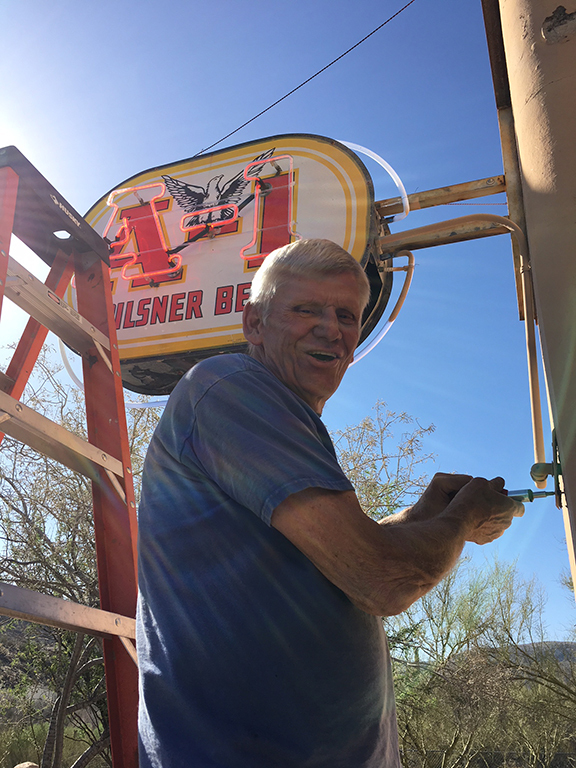 I called and, believe it or not, the owner answered, who told me he apprenticed for Meyers-Lieber, the company who did all the A-1 beer signs in Arizona and he would consider it a labor of love to restore my sign. He did so and charged me $150. Jack was the brother-in-law of the guy at the Nogales Cafe who I bought the A-1 sign from and Jack told me that Bill has passed on. 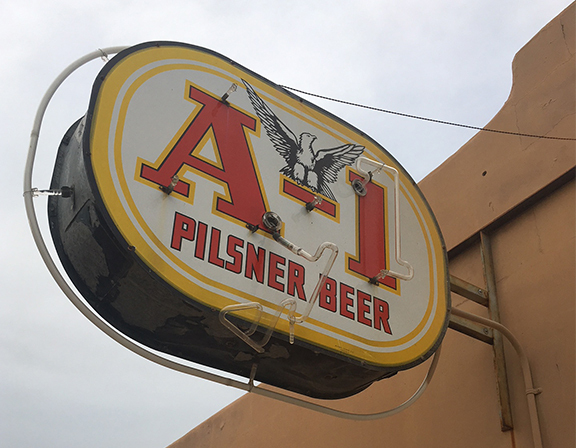 I offered my condolences and mentioned that a pool cleaning guy broke my A-1 sign about ten years ago and I can't find anybody to fix it. Jack said, "Call Dave Glover. He's the last neon guy still standing." So I called Dave Glover and he came out to the house to take a look at the damage. 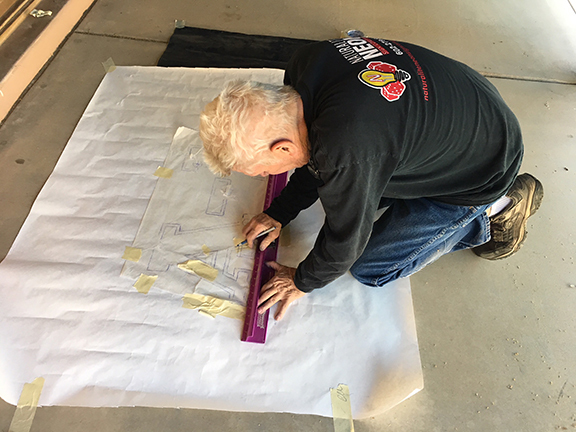 He got up on a ladder and made a stencil tracing. Then he plotted those measurements out on a grid. 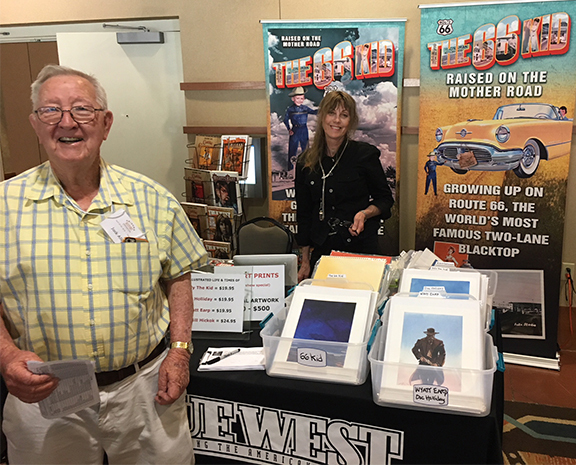 And then I didn't hear from him for three weeks, but we had an issue of True West going out the door on the Power brothers and I was busy and frankly, I forgot about it. Yesterday Dave called me and said he was coming out with the new tubing. 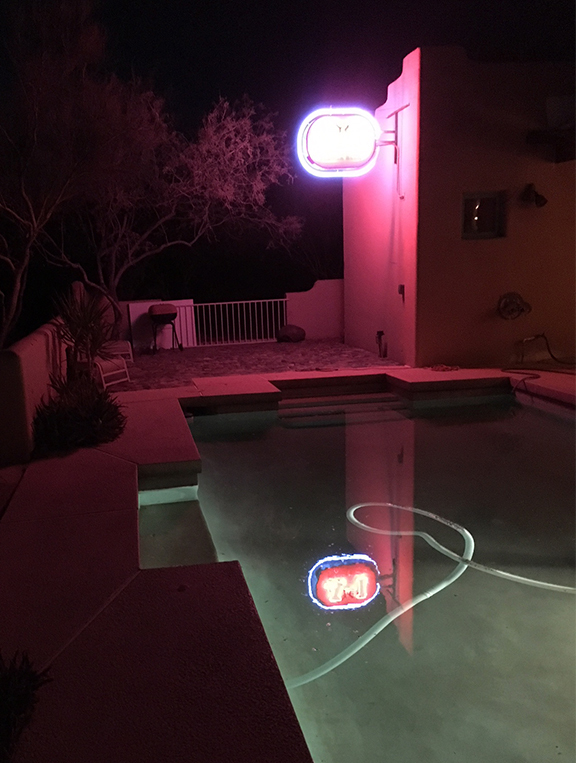 Late in the day we tripped the switch and that bad boy lit up the Sonoran twilight. Nogales Cafe has been restored. It's lookin' pretty badass and I must admit, I sure have a big smile on my face. "I'm bad, bad, bad, I'm nationwide." Oh, man, that is toooo badass for words!! Very cool, I often do photo walks through forgotten towns in Georgia. I love photographing old signs.